Custom home, cabin and garage designs, including New construction, renovations, and additions. Designs can be from scratch or based on plan book Drawings. 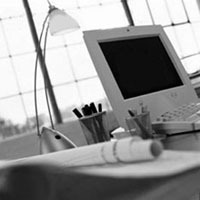 Specializing in SOFTPLAN based Computer Aided Drafting and design. Fully dimensioned and scaled construction documents, as Required by the Wisconsin Uniform Dwelling Code. Material Take-Off and Pricing. Cost estimates are FREE. Service Fee rebated based on material purchased. We do our best to get your order to you correctly and in a timely manner. Ron Ernst Lumber has the personnel and trucks to get the quality building materials to your job site or home. In most cases Delivery is Free. Normal range for reasonable size order ($200) is 40 miles. Range for larger projects is greater. For detailed information and to verify the availability of delivery to your specific location please give us a call. Minimal delivery charges apply if criteria is not met and the fee is decided on a case by case basis.